For Use on Butts And Ribs ! Don't let that fool you though, this award winning sauce goes great on everything from egg sandwiches to smoked salmon. 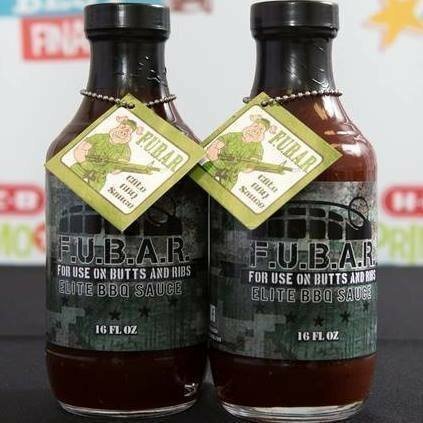 The beautiful color of FUBAR will set your meat apart from the competition and the amazing sweet and tangy flavor profile will give your meat the winning edge! This sauce was forged in the battles of competition BBQ and perfected over the years. In 2017, F.U.B.A.R. won 1st Place in HEB's Quest For Texas Best, beating out over 600 products from across the state of Texas.